Let's look at the "top five" reasons people give for not owning life insurance. Too Expensive. "I just cannot afford life insurance right now." Confusing. "We looked at proposals from three companiespage after page of numbers. What does it all mean? I haven't the slightest idea!" Too Many Types. "I checked into term insurance, whole life insurance, universal life, variable life, single premium and survivorship insurance. But which one is right for me?" No Trust. "Those big insurance companies claim to have billions of reserve funds. But one of the biggest insurance companies has been on the ropes for months. Who can you trust?" Don't Plan to Die. "Someday when I plan to die, I will consider life insurance. But for nowdon't worry, be happy!" There are several reasons for you to purchase life insurance. If you were to pass away, the life insurance death benefits could provide resources that are quite important to your family. The various benefits include payment of your funeral and final expenses, paying off mortgages or other debts, living expenses or income for a surviving spouse, inheritance for children and payment of estate taxes. Final Expenses and Funeral Costs. Usually there are medical expenses during the last weeks of life. These frequently will range from $5,000 to $10,000. Your memorial service preparation and costs can also easily exceed $10,000. Total final expenses can often be more than $20,000. Pay Debts and Mortgages. The payment of debts or a mortgage is a one-time expense. Depending upon the amount of your mortgage, this could cost anywhere from a few thousand dollars to many hundreds of thousands of dollars. Living Expenses for Spouse. The largest amount of insurance is typically purchased to provide both economic security and an investment that will add to the spouse's other annual income. A reasonable method is to estimate a 5% return on the investment. For example, if a spouse needed another $25,000 of income over and above the amount paid by retirement funds, Social Security and other earnings, then insurance equal to $500,000 invested at 5% would produce this amount. Inheritance for Children. Permanent insurance is frequently used as a method of providing an inheritance for children. Many parents who make substantial gifts to charity plan to use life insurance as a means of providing additional inheritance for children or other family members. Estate Taxes. If your estate is large, there may be a substantial payment of federal or state estate tax. If you own a family business or other assets that are intended to be transferred to family, then your estate could be subject to estate tax. Life insurance can be an excellent method to provide funds for payment of estate tax. Normally, for larger estates the life insurance is owned by an irrevocable life insurance trust so the insurance itself is not subject to estate tax. A fairly simple way for you to determine the total amount of needed insurance is to add up your one-time expenses, then calculate the amount of insurance invested at 5% necessary to benefit a surviving spouse, children or other family members. For example, if your one-time expenses are $200,000 and your spouse desires additional income of $25,000, then the total insurance would be $700,000. This amount includes $200,000 for expenses and $500,000 invested at 5% to produce the annual income. More sophisticated calculations are available online. Use your favorite search engine to look for "life insurance needs calculator," and select from the available free public calculators. Life insurance started because individuals were concerned that they might pass away and not provide sufficient resources for family. Because young families typically need a substantial fund and lack the ability to save enough in a short period of time, the concept of life insurance was created. If many thousands of individuals pay premiums and those funds are invested, then a pool of funds will be available to compensate individuals. The life insurance company hires actuaries who determine the probable number of individuals who will pass away in a given year. Especially for younger persons, out of a pool of 100,000 only a few will pass away in a given year. As a result, the insurance company is able to receive all the premiums and invest them in the insurance reserve fund. The earnings and a portion of the funds are distributed each year to pay claims for those who pass away. The insurance funds are primarily invested in bonds. The insurance company generally receives 1% to 1.2% to cover all of their overhead and costs. The balance is returned through insurance proceeds to beneficiaries. Insurance is generally divided into two categoriesterm insurance and permanent insurance. Term insurance is the least expensive type of insurance and is favored by younger people and many financial planners. The term insurance is available with an annual renewable term (ART) or with a fixed payment for five years, 10 years, 15 years or longer. Because term insurance does not include any investment or cash value, it enables the largest potential policy to be purchased for the least cost. Due to intense competition within the insurance industry, prices on term policies and level-pay term policies have moved lower in recent years. Some types of term policies also include the ability to convert to whole life or universal life at a future time. If the conversion is elected, then there will be a substantial increase in the premium. Permanent insurance includes several types. The traditional favorite is whole life insurance, but there are also universal life, variable life and survivorship life insurance. Whole Life. The traditional whole life policy involves both insurance and a cash value. The premiums are substantially higher than term insurance because the policy will build a savings element or cash value. During the first year, much of the cash value may be used by the insurance company to cover the commission payment to the sales representative, but over time the cash value may increase. The owner of the policy has the right to borrow against the cash value at favorable rates. Whole life is frequently fixed in terms of premiums paid and death benefit. The insurance company is determining the probable return of its reserve fund and, based on the age and health of the insured person, calculates and commits to a fixed benefit in exchange for a certain premium. Universal Life. Universal life was created to provide an option for people who would consider purchasing term insurance and invest an additional amount in mutual funds. With universal life, the policy is invested and a cash reserve is built up. The insurance reserve growth covers the cost of the insurance policy. Universal life policies may include flexible options for increasing or decreasing premium payments. Of course, the cash value of the policy will change with a modification of the premium schedule. Variable Universal Life. If the insured desires to own life insurance but also potentially gain from investments in stocks and bonds, a variable policy may be appropriate. With a variable policy the insured typically is permitted to invest in different mutual funds managed by the financial services company. If the mutual funds increase in value, the policy cash value will increase. Survivorship Life. For a couple, an attractive option is to purchase a survivorship policy. This policy pays a death benefit after both husband and wife pass away. Because two persons are insured, it frequently is possible to obtain insurance even if one spouse is in poor health. Quite often, this insurance can be purchased at a more reasonable premium because two persons must pass away before the death benefit is paid. It is particularly useful for providing funds to pay for taxes if a business is to be transferred from parents to children after they both pass away. In most estates, life insurance does not pass through the probate process. 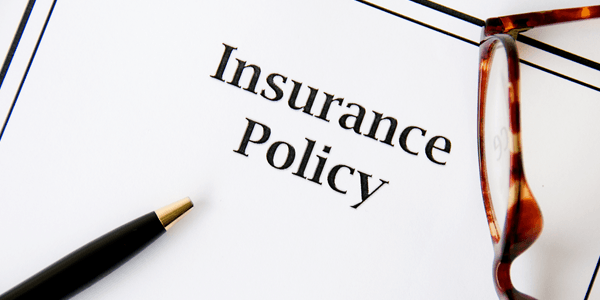 The insurance policy is a contract between the insured and the insurance company. The person who purchases the insurance has the right to name the beneficiaries. Normally, a primary and a secondary beneficiary are named. It's also possible to divide the insurance policy among several children or other beneficiaries. A common beneficiary designation is for the spouse to be a primary beneficiary and the children to be the contingent beneficiaries with equal shares. If the spouse were to predecease the insured or they were to pass away in a common accident, then the children would receive the insurance proceeds. Minor children should usually not be the beneficiaries of a policy. In many states, if a minor child receives a substantial inheritance, a conservator must be appointed to manage the assets. This is quite expensive and also has the disadvantage of transferring the assets to the minor child when he or she becomes an adult. A much better arrangement is to transfer the policy to a living trust for the benefit of the minor children, or to create a trust and a will for the benefit of the minor children and transfer the policy to the estate to fund that trust. Life insurance is an important decision, and it is helpful to learn about the different types of insurance. Most individuals will also visit with a chartered life underwriter (CLU) or other representative of a financial services company. The representative can conduct an insurance needs analysis and suggest the appropriate type of insurance. It is helpful for you to do sufficient research to understand the reasons why many individuals choose term insurance or permanent insurance. In addition, the use of online calculators to determine insurance funding will also provide you with a better understanding of the appropriate amount of insurance. The amount of insurance recommended by online calculators can vary greatly, so understanding your probable needs is quite important. Insurance companies are rated by several sources. A.M. Best, Weiss, Moody's and other ratings services are available. You should be certain to ask for the ratings of any company if a representative suggests purchasing a policy from them. It is also easy to go online and do a search for "insurance company ratings" and obtain the actual ratings for most financial services companies.